Published: July 17, 2012 at 08:45 a.m. There already are calls by the most respected writer in Dallas for Cowboys wide receiver Dez Bryant to face a long suspension. This feels like a rush to judgment. The details in Bryant's arrest aren't even out yet. 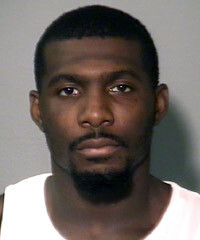 This is the third-year pros first arrest, even if he's had a number of off-the-field issues. Make no mistake: Disciplining Bryant could be tricky for the NFL, no matter how his case plays out. What has Bryant done to get in hot water since entering the league? Get banned from a mall? Had money issues off the field? Allegedly involved in a nightclub brawl in which no charges were filed? These actions show a troubling pattern, but they aren't the type of issues the NFL normally would view as repeat offenses. Rick Gosselin of the Dallas Morning News suggests that the Cowboys could suspend Bryant on their own for up to four weeks for "conduct detrimental to the team." That also could be a tricky decision -- Bryant and the NFL Players Association could fight any action by the Cowboys. But this could be a rare case in which the team does step in before the NFL. "It's time the Cowboys let Bryant know this type of behavior will no longer be tolerated," Gosselin wrote. "Suspend him and let him have a month to experience life without football and a paycheck. Maybe he'll understand what a privilege it is playing in the NFL. If not, cut him. Let him take his baggage elsewhere. Goodbye and good riddance." Willingly taking a talented player off the field doesn't sound like something Cowboys owner Jerry Jones would be excited about doing. This is going to be a difficult problem for the Cowboys to solve, and it's way too early to assume that any long suspension would be forthcoming from the team or the NFL.